Delivered to U.S. Army Air Force as 44-64376, 19??. 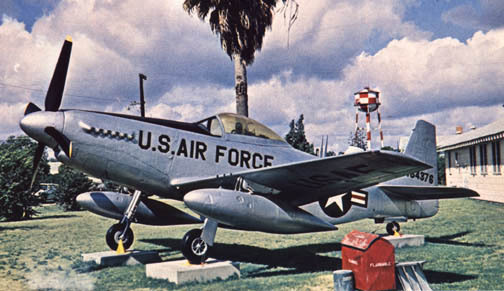 USAFM, Lackland AFB, TX, 1965-2007. - Displayed as 414151/HO-M/Petie 2nd. At Lackland AFB, Texas, circa early 70s.